Lt. Col. Claude Vann, III. HAMPTON, Va. (Jan. 22, 2018) – Hampton University will continue its twin anniversary celebration, marking the world class university’s 150th anniversary and 40 years of visionary leadership under President Dr. William R. Harvey, at the 125th Annual Founder's Day ceremony. 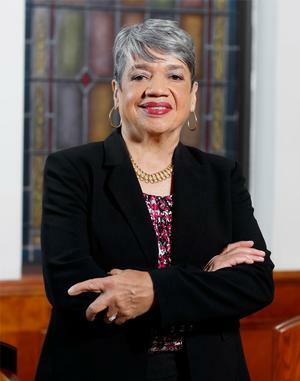 The event will be held Sunday Jan. 28 at 11:30 a.m. in Hampton’s historic Ogden Hall. Darrell K. Williams, a three-star Lieutenant General in the United States Army and Hampton alumnus will give the keynote address. 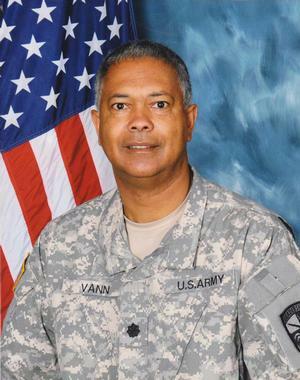 Vann, class of 1977, is a former Hampton University assistant professor of Military Science. After Vann retired from the Army in 1998, he served at Hampton University before accepting a position at Newport News Shipbuilding. In 2008 he took an early retirement, and accepted a voluntarily recall to active duty, during which he was the Chief, Family Housing at Fort Monroe until the installation closed in 2011. Dr. Harvey has also invited back alumni who have attained the rank of general or flag officer in the U.S. armed forces to this ceremony for special recognition. Founder's Day activities will also include the commemorative wreath placing ceremony at the gravesite of the University's founder, Gen. Samuel Chapman Armstrong, in the Hampton University Cemetery at 9:30 a.m. Members of Gen. Armstrong’s family will be in attendance to celebrate the 150th anniversary of the school their ancestor founded. Following the ceremony Hampton will host a conversation featuring Mr. Samuel Armstrong Howe, great-grandson of Gen. Armstrong. Armstrong Howe will share personal and family insights on the life of Gen. Armstrong and his role at Hampton University at 6:00 p.m. in the Student Center Ballroom. Williams is the Director of the Defense Logistics Agency (DLA), headquartered in Fort Belvoir, Va. He leads a global workforce of over 25,000 military and civilian workers in the Defense Department’s supply and support network. He directs nine supply chains supporting the military, as well as federal, state, local and international partners. The DLA provides food, medical material, uniforms and construction equipment, 98 percent of the Defense Department’s fuel, and the majority of spare parts for military weapons systems. He also oversees the National Defense Stockpile, an international network of 25 distribution centers. Williams, a native of West Palm Beach, Fla., earned his bachelor’s degree in psychology at Hampton, where he was a Distinguished Military Graduate of the ROTC Program. He was commissioned into the Army Quartermaster Corps in 1983. 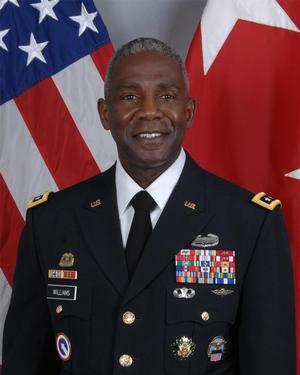 During his Army career he graduated from the Army Command and General Staff College, the School of Advanced Military Studies and he is a Distinguished Graduate of the National War College. Williams also holds a master’s degrees in military arts and sciences, national security and strategic studies, and business management (logistics). The Founder's Day Ceremony will be live streamed at media.hamptonu.edu.